Inspired by TheKitchn's post on adding melons to salad (and having, conveniently, a yummy half of a sugar kiss melon on hand) I thought I'd try out a melon salad myself. I was going to just pick up some spicy arugula to go with it, but at the grocery store I saw some bouncy mint and basil, and thought I'd like a little extra zing to the simple salad. 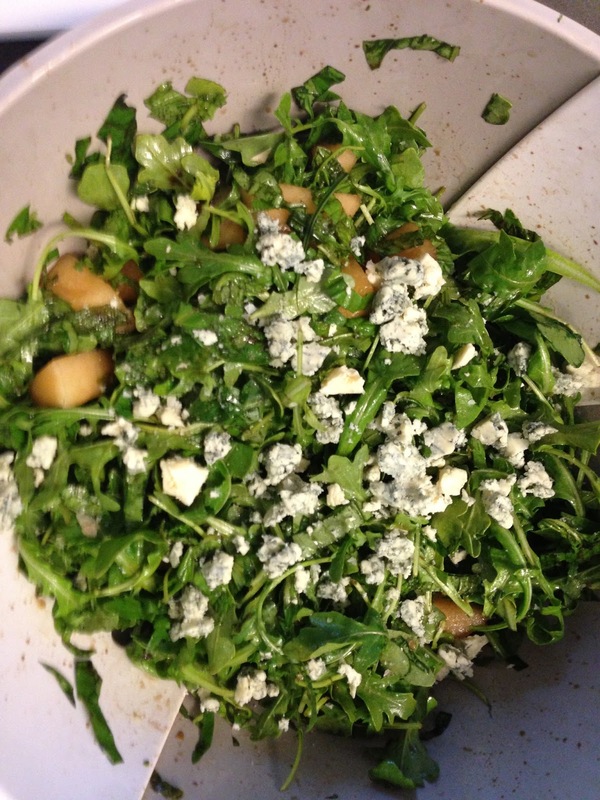 This is a super simple salad, and so refreshing and delicious! Whisk the balsamic and olive oil together. Chiffonade the basil and mint, toss together with the arugula and melon, dress with the balsamic and oil, and crumble the cheese on top. Lightly sprinkle with sea salt for that extra punch at the end.